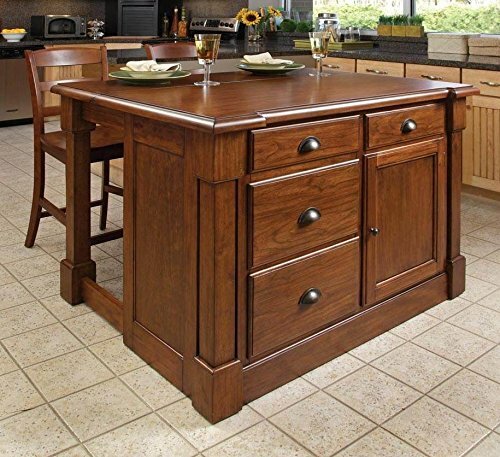 *Cute and Functional Kitchen Islands with Cabinets and Drawers! One of the most practical and functional kitchen furniture pieces to have in any home is a kitchen island with storage cabinets and drawers! It is not only perfect for storing plates, glasses, mixing bowls, measuring cups and baking tools, but also very helpful when you are cooking or even great for using it as an extra table in the kitchen, specially if you also get some some matching stools! Among so many of them for sale nowadays how do you pick the best one for your kitchen? The most complete ones also come with the stools. What is the color pattern in your kitchen? 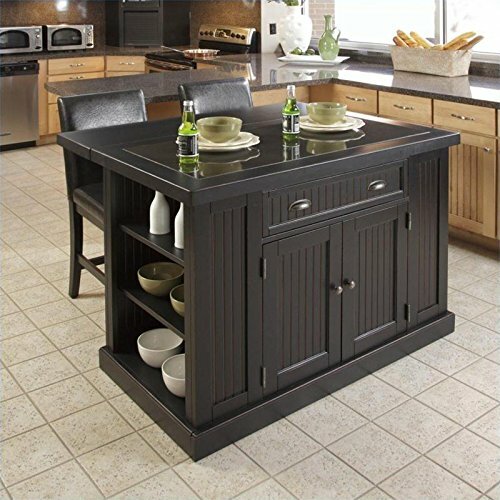 I really like the black kitchen islands for sale, just like the one in the picture above. I think they are very stylish! 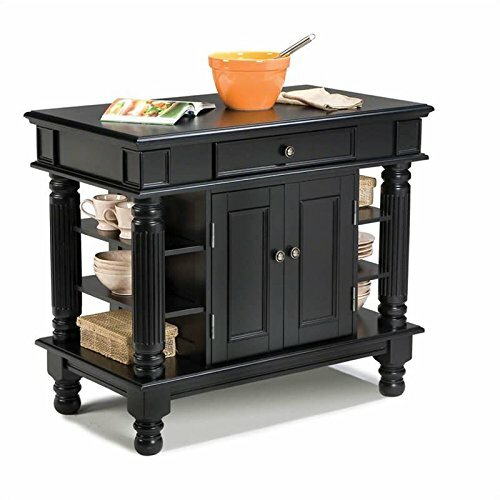 This is a gorgeous, high-quality 3-piece granite top kitchen island with storage cabinet and stools in a beautiful distressed black color. As you can see this is the complete deal! Eating, storing, preparing your favorite recipes, you can do it all! It is made from Asian hardwood and it is a very sturdy piece! The storage shelves and storage cabinet are also very handy in keeping all of your most used plates and bowls always within reach, but nicely organized! They usually fit well in a medium-sized kitchen. *Very Cute WHITE Kitchen Island and Stools! 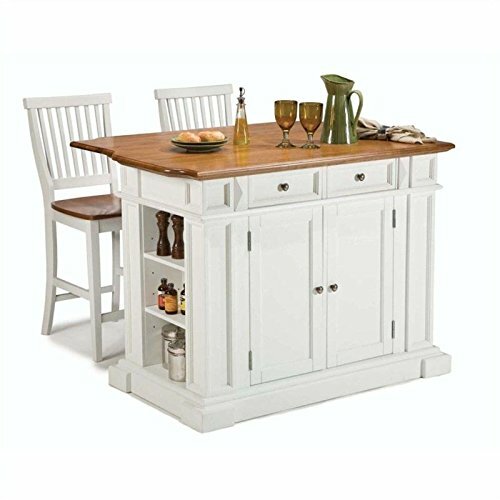 This is a very cute and fairy affordable white and oak finish kitchen island with two matching stools, cabinet and drawers! It is also made of Asian hardwood and will definitely brighten up your whole kitchen. Great way to start your day having breakfast on this cool kitchen island! It will take you a couple of hours to assemble, but it will be totally worth it! 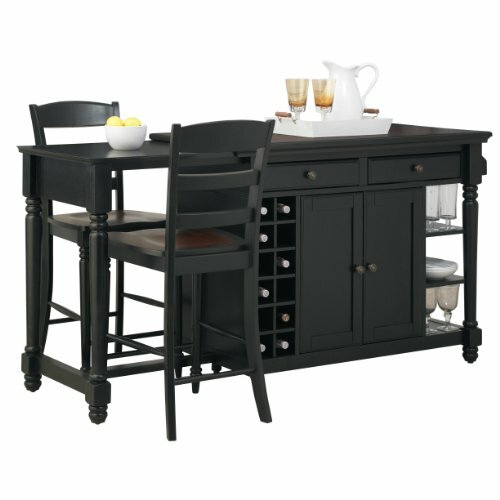 What a stunning black kitchen island that comes with two matching stools and a cool wine rack! I LOVE the pull-out side counter! It looks extremely fancy, but the price is totally fair! It also has two spacious pull-out drawers on top and there’s even a handy towel rack. I also love this ‘casual meets rustic’ design! This one is totally approved! If you enjoy rustic style furniture in your home, I think this might be the perfect rustic kitchen island with storage drawers and stools! Nice cherry finish as well! Gorgeous Kitchen Island with Large Surface! Another extremely elegant and very functional rustic looking kitchen island with storage cabinets and a large attached table on top! I love this unique ‘buttermilk’ and cherry finish! It also has a very nice spice rack and wine storage! This is a very solid, sturdy piece that will definitely last for many, many years! 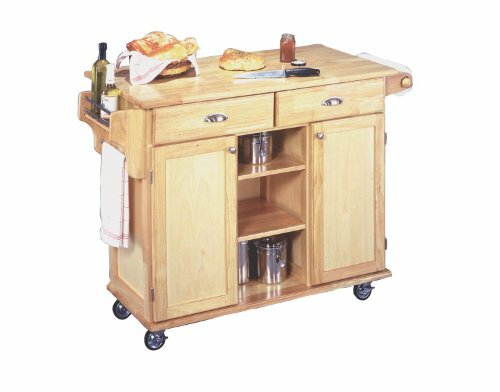 If you are on a budget and looking for a very cute, compact and cheap kitchen island with storage cabinet and wheels, this is the one! I love the natural finish! Look at the spacious top drawers! I love the fact that it also has wheels! Overall most buyers gave it 5 stars! *How to build your own kitchen island unit! 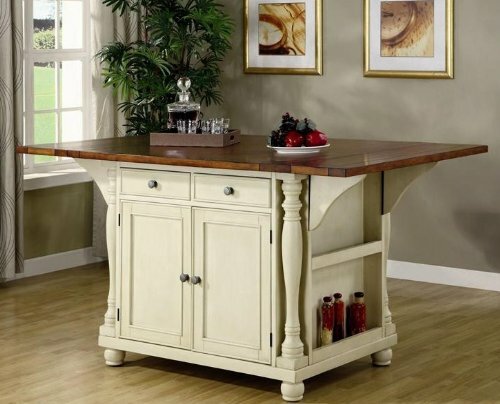 *I hope you were able to get the perfect kitchen island for your home here today! Beautiful Dining Room Buffet Server Cabinets! Cute Dining Booths for Home!